This is hard for me, but I’m going to come right out and say it: I’m happy with my race. That’s my chip time – my gun time was 3:25:45. 3:28 was a challenging, but fair, goal and I cleared it with relative ease. Sure, I would have liked to be under 3:25, and I can always imagine ways I could have picked up 37 seconds, but I think I ran about as well as I could on Sunday. The accepted wisdom says people run their fastest marathons when they run even splits, and my first half was probably about five minutes faster than my second half. On the other hand, the second half of the Cape Cod course is more difficult, especially this year, with the nasty headwind along the shore after mile 23. I wasn’t as strong physically over the last six miles as I have been in some of my other marathons, but I kept my head and I didn’t fall apart when it got hard. 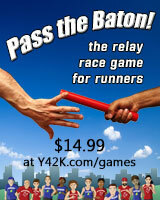 My gun time put me 122nd out of 1036 finishers, and I was 17th out of 130 in my age group. That’s as well as I’ve ever done in a USATF Grand Prix race. I was proud to score for SRR in the team competition and help our Men’s Senior team win our age group. Robert (2:47) and Jeff (2:52) deserve most of the credit for the victory, but I’m always happy to be the slowest guy on a fast team. And I wasn’t that slow. I was the second-fastest third place runner on the eight teams, and my time would have made me the fastest runner on five teams. Our win clinched a second place finish for our 50+ team in the 2012 Grand Prix, behind the perennial champs from Whirlaway. My splits tracked closely over most of the course. I did a better job of easing into the race in 2002 and there was no headwind on the beach that year. I’m just a little slower these days. My finish was 12:09 off my 3:13:28 from 2002, but my age-graded score of 68.43% is a new PR. That score projects to a 3:08:36 at age 41, 5 minutes faster than the time I actually ran. I was well under my (maybe-) Boston Qualifying time of 3:30, though I was just short of the BQ-5 that would have made entry for 2014 almost certain. Hopefully registration will play out the same way it did for 2013 and I won’t regret those 37 seconds when it’s time to register for 2014. 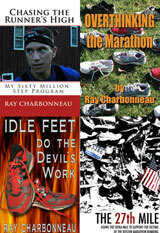 What really surprised me was when I checked my log to compare my race to my other marathons. 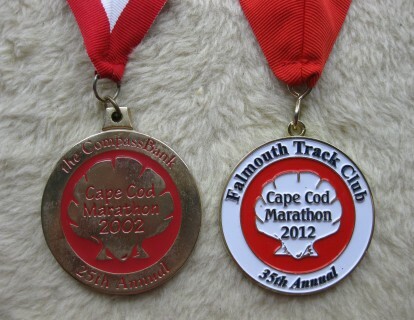 I’ve run 11 marathons since Cape Cod in 2002. Sunday’s race was faster than any of them. 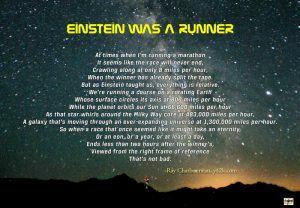 I could come up with a million reasons why I haven’t run a fast marathon in 10 years, but none of them would change any results. That 3:25:37 keeps looking better, doesn’t it?